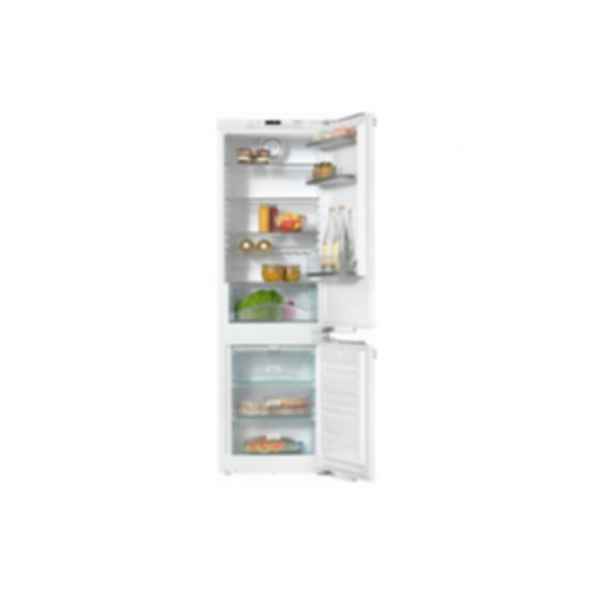 Integrated fridge-freezer with impressive convenience thanks to FlexiLight and SoftClose door mechanism. Available on five continents, Miele is the only truly global premium brand of high-end domestic appliances, respected for its quality, performance, design excellence and longevity. More than 110 years ago, Miele's founding fathers expressed their vision when they embellished their first products with "IMMER BESSER" (Forever Better). Today, Miele is still a German family-owned company in its fourth generation - and the forefathers' credo is still, to this day, the benchmark and incentive for future product developments. Quality is not static - it changes with consumers' needs. The results are products that are designed with the focus on people, their needs and their living space.